The iPhone 5S and iPhone 5C launched this past Friday, September 20, and there were crowds of people lining up in front of Apple stores. New iPhone models, unfortunately also mean an increase in people trying to steal them. 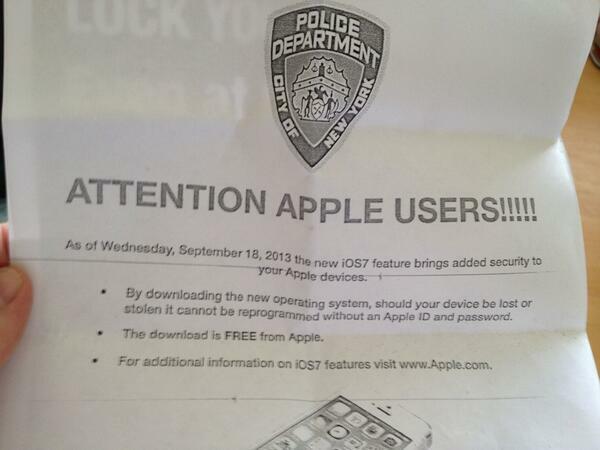 iOS 7, which come installed all new iPhones and is now available for download to the public, come with new security measures to try and deter theft. Naturally the police department will try to push anything that protects the safety and the privacy of the individual. If your device gets into the wrong hands, with Activation Lock, you can be sure that your personal data is safe. The phone becomes useless to the person who stole your device, because without your Apple ID and password they can not do anything with the device. That is one expensive paperweight. 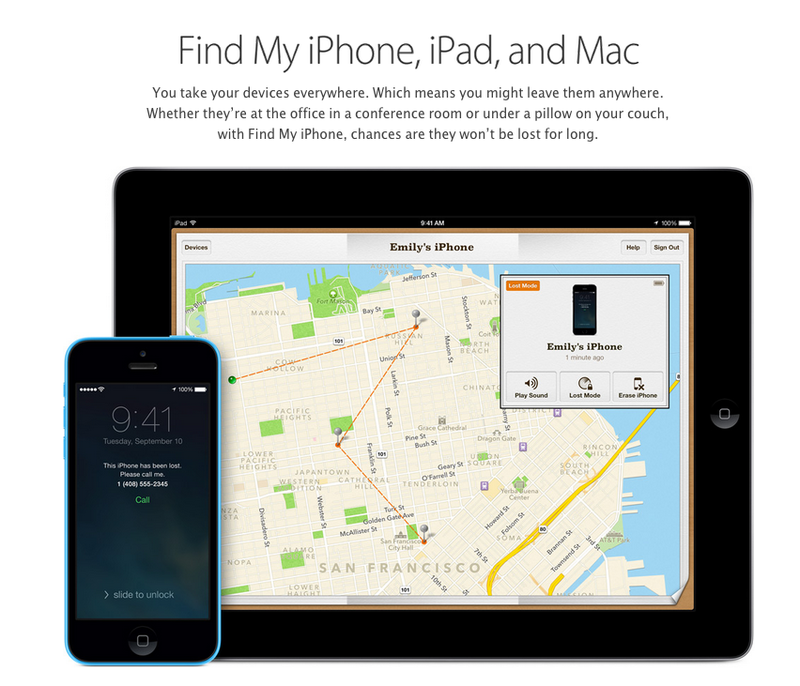 Find My iPhone also has many other features including the ability to send a message to your phone, make your phone play a sound, see where your phone is on a map, and even remote wipe your phone. The remote wipe feature will ensure if you can not get your phone back, you can erase all everything on your device. 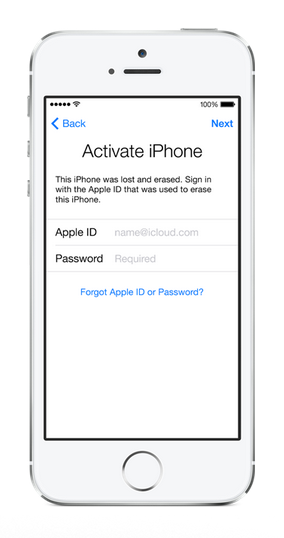 Click here for complete details and instructions on setting up and using Activation Lock and Find My iPhone. 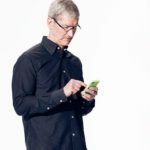 iOS 7 contains some security bugs which have been reported over the past few days, but Apple should release fixes in a future software update. To find the iOS 7 download link for your device click here.